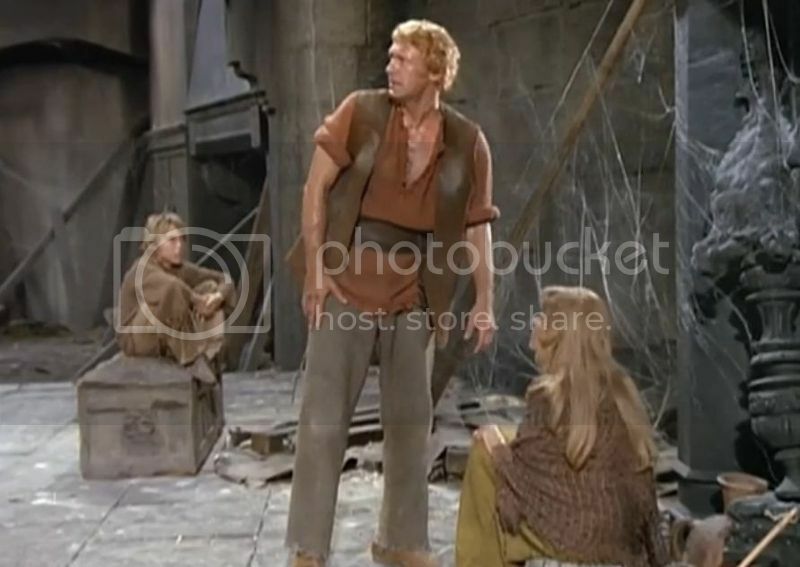 Planet of the Apes TV series Episode 5 "The Legacy" Oct. 11 1974. MeTV has been showing the 1974 Planet of the Apes TV series at 5am Sundays. 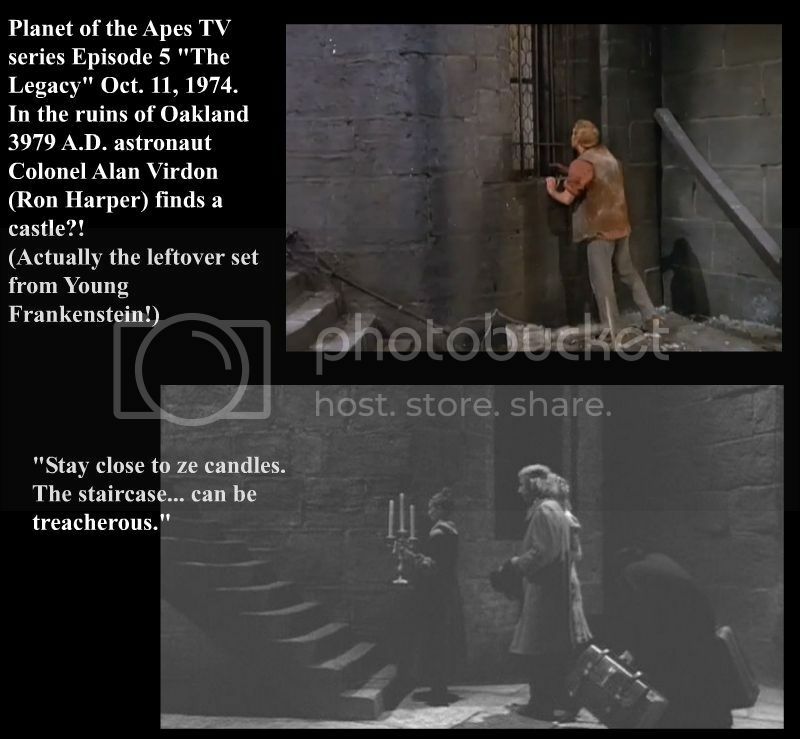 "The Legacy", 5th of 14 episodes (Oct. 11 1974 - Planet of the Apes Wiki, watch here). 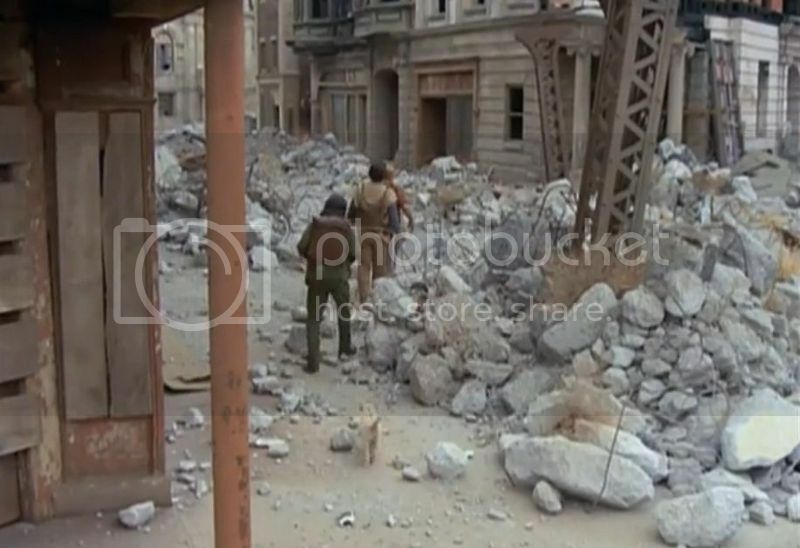 Another episode filmed on the MGM backlot being demolished, convincingly standing in for a ruined city (Oaklake, California, 3979 A.D.). Apparently scenes from the Charlton Heston movie Earthquake were also filmed in these ruins. Note the stray dog, which seems to establish the TV show isn't in exactly the same continuity as the movies (In Conquest of the Planet of the Apes  it's revealed that all dogs and cats on Earth were killed off by a space virus, so scientists genetically engineer apes to be pets/servants). Our heroes find a hologram in a ruined museum. Hey, this is actor Jon Lormer, Tamar in Star Trek "Return of the Archons!" 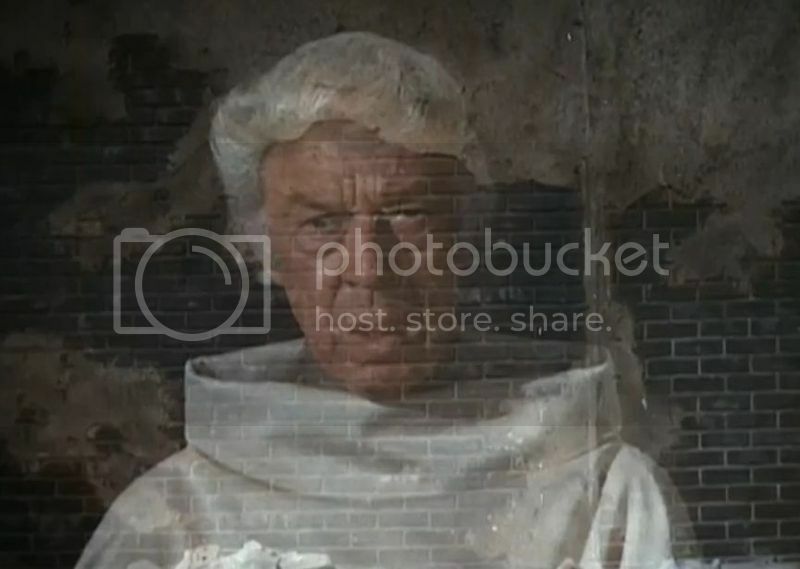 Astronaut Colonel Alan Virdon (Ron Harper) then finds a castle (?!) in the Oakland ruins. Actually the leftover set from Young Frankenstein! Guest star 13-year-old Jackie Earle Haley (2 years before Bad News Bears) and Zina Bethune.